Berger Sanitation | "Dependable Waste & Recycling Removal"
"Dependable Waste & Recycling Removal"
1998. Berger Sanitation, Inc. continues to be family owned and operated with 4 Berger family members working for the company. 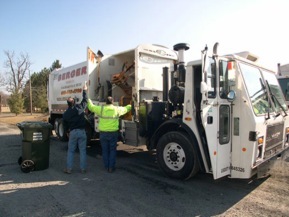 Located in East Allen Township Pennsylvania, Berger Sanitation Inc, has 20 employees and operates 15 trucks. 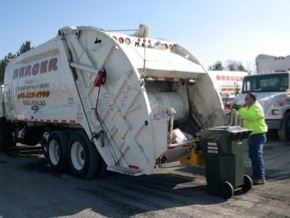 Berger Sanitation, Inc. provides Residential waste services to customers in the townships of East Allen, Upper Nazereth, North Whitehall, Washington, Lynn, Lowhill and Weisenberg, Lehigh, Moore & Bushkill. Berger Sanitation, Inc. also provides Commercial and Industrial waste removal services to customers in Northampton, Lehigh, Berks, Bucks, Carbon and Monroe Counties. Recycling services are offered to both Comercial and Residential customers as well.